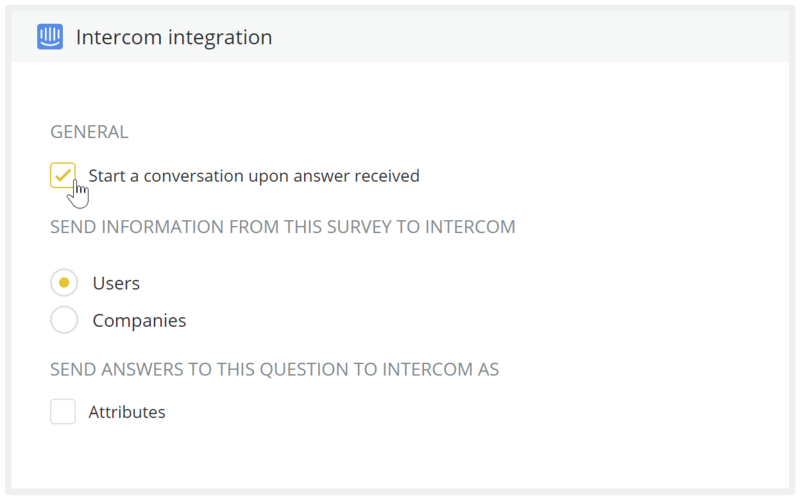 Opening user conversation when receiving answers to open text questions. Benefits and set-up. Reply to NPS rationale in real time to activate promoters or to find out more what's behind lower scores. Dig deeper upon receving product feedback or feature requests. Get more detailed 'job to be done' story for your sales team. React on cancellation reason to reduce churn. When adding a text question you will see a checkbox Start a conversation upon answer received. Enabling that option will result in new conversation being created with a user answering a text question.